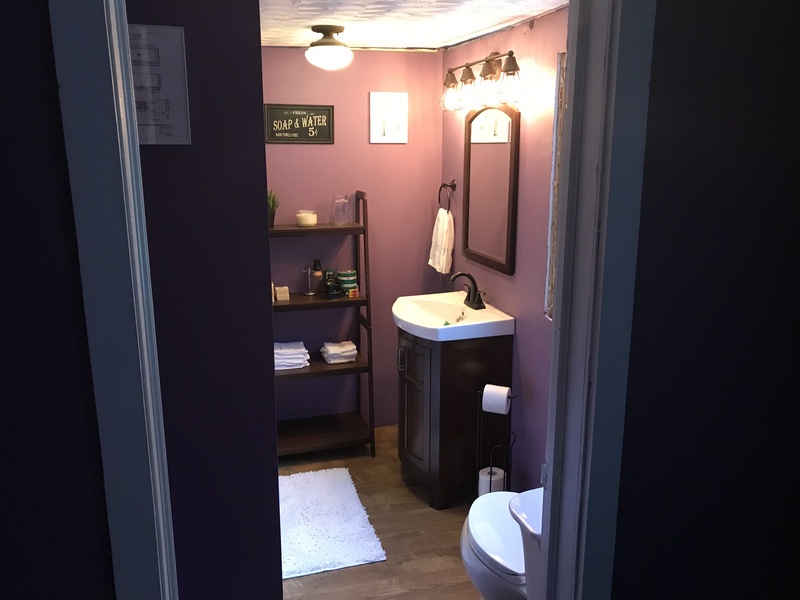 Since moving into my house “for real” over two years ago, the most urgent, much-needed renovation was my bathroom. When my house was originally built it featured a wrap-around porch and no indoor bathroom (think outhouse). 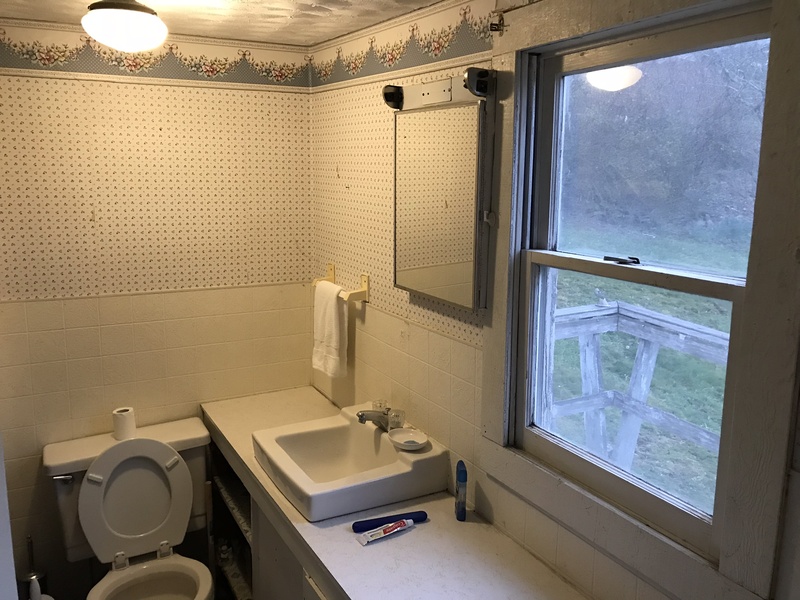 Eventually, part of the porch was turned into a bathroom. I believe the bathroom came along some time in the 50s, then it was remodeled in the 70s. Since then, it hasn’t been touched. Until now. 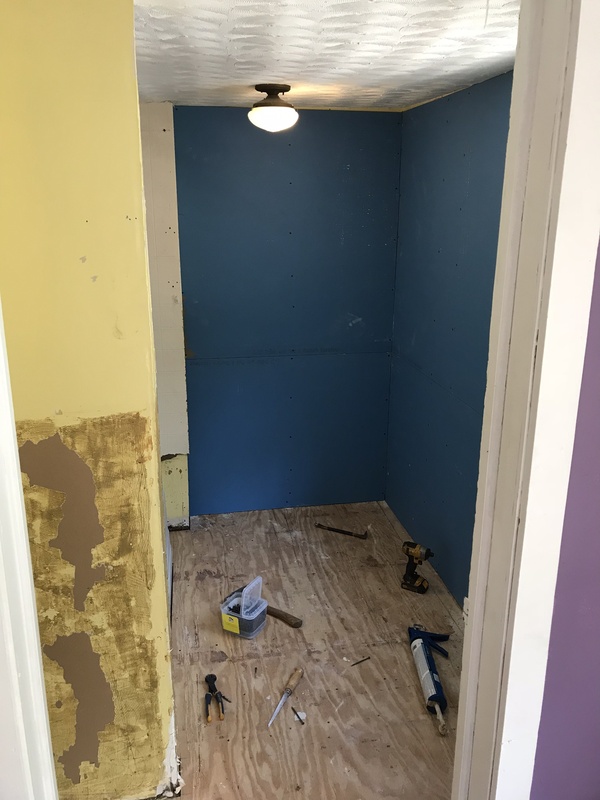 Here, you can see the bathroom at its starting point. The stains in the toilet were permanent (the filth ate into the porcelin I suppose). 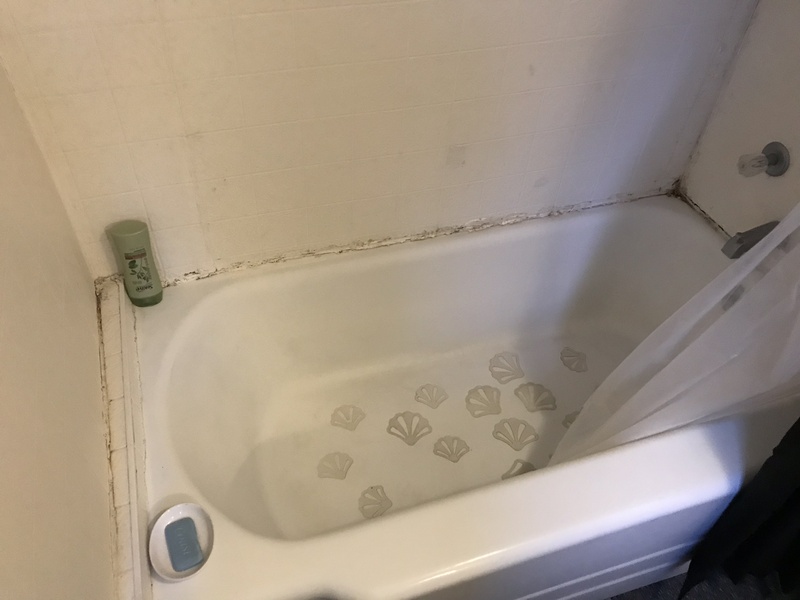 No matter how much scrubbing I did, no matter what tools I used, nothing could get the stains out of the bottom, which made it look like it was always filthy. It grossed me out so bad. 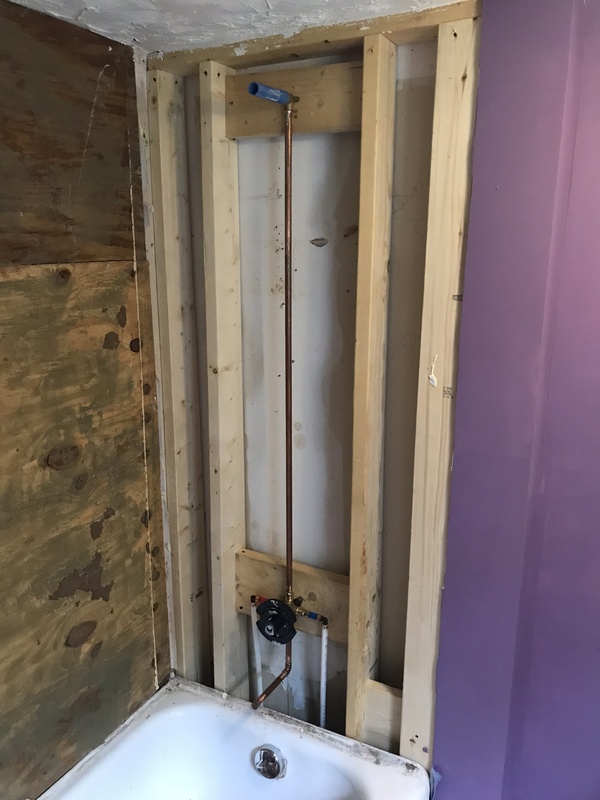 The tub was shorter than the walls, so a weird makeshift board was shimmied and caulked. Water liked to hide in the crevices and turn everything a really putrid brown color. This grungey photo was taken not too long after I bleached the caulk. 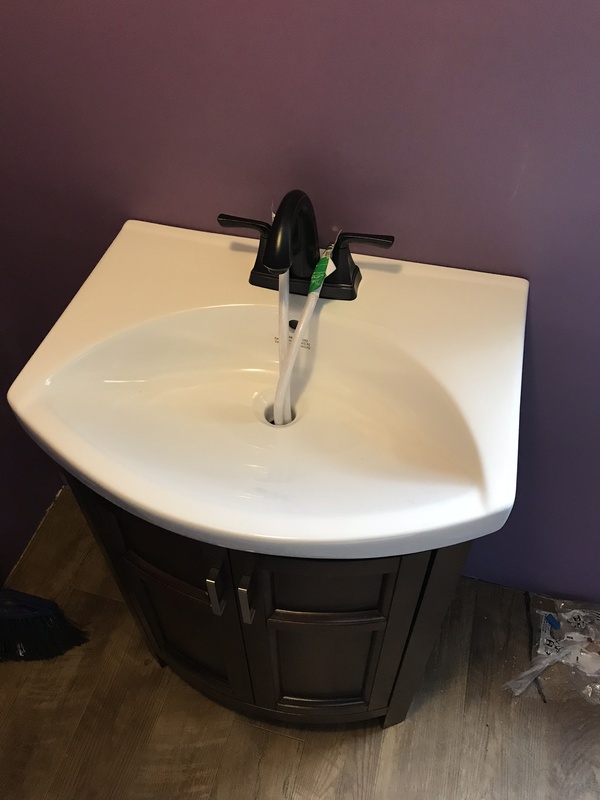 The custom vanity/cabinet was made out of cheap plywood. It actually held up okay for forty years, but it needed to go. 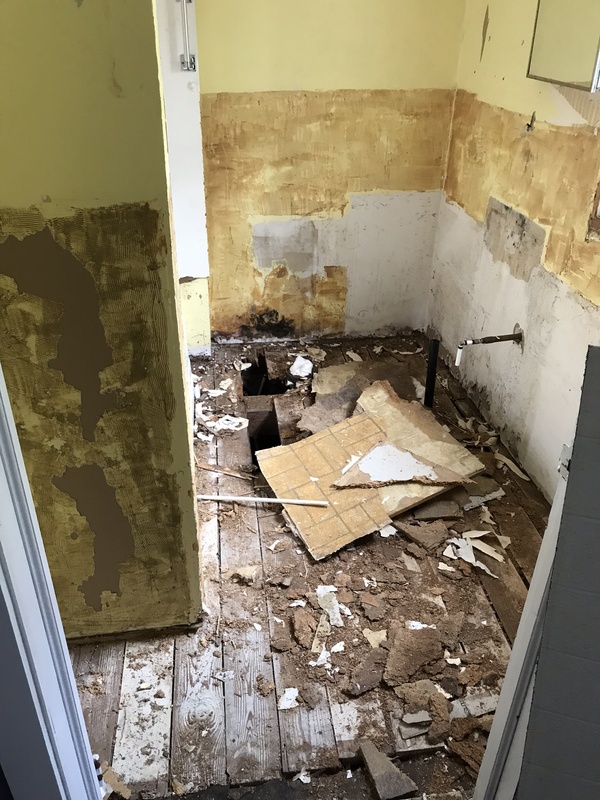 After trying to find a contractor, I decided to call up an old family friend who has done several jobs for us in the past. After a few false starts, he eventually showed up on May 7th and the demolition began. 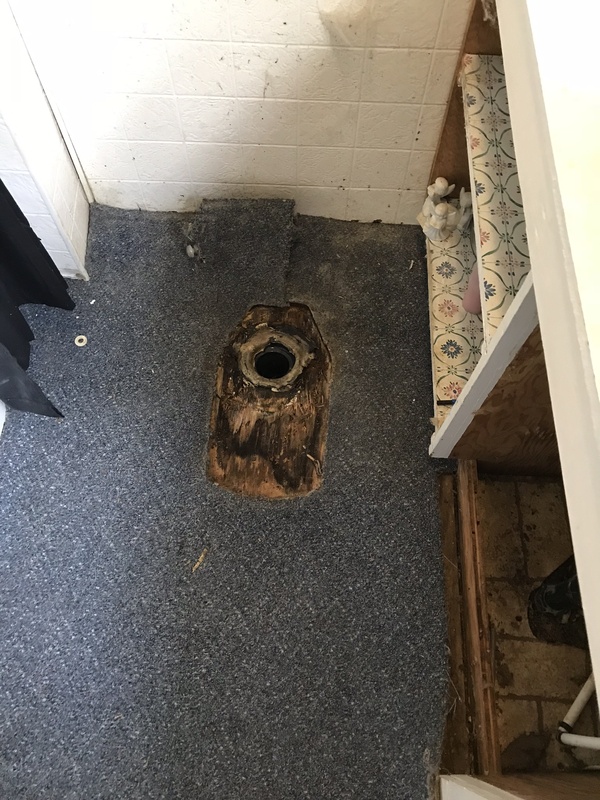 Much to my fear, the floor around the toilet was completely rotted out. 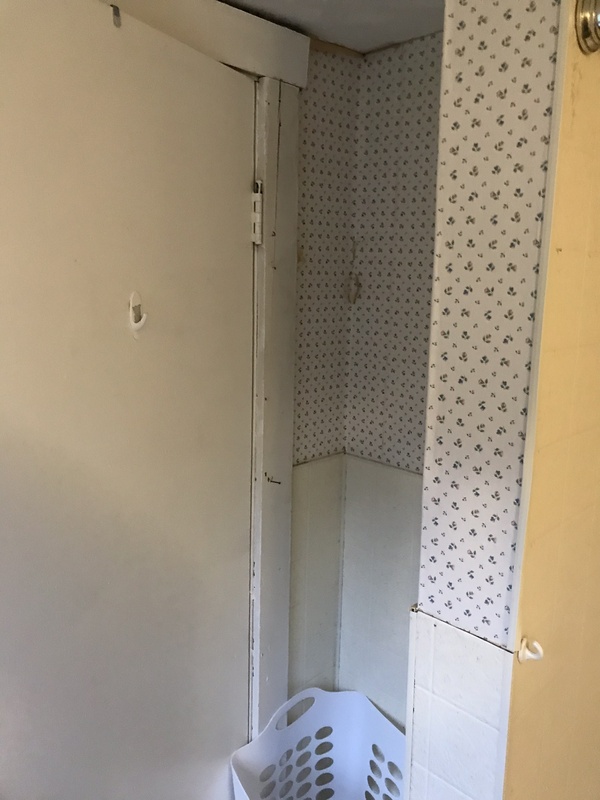 When my grandfather put the toilet in all those years ago he had neglected to use a flange. It was horrific. Luckily, the vanity came out pretty easily. 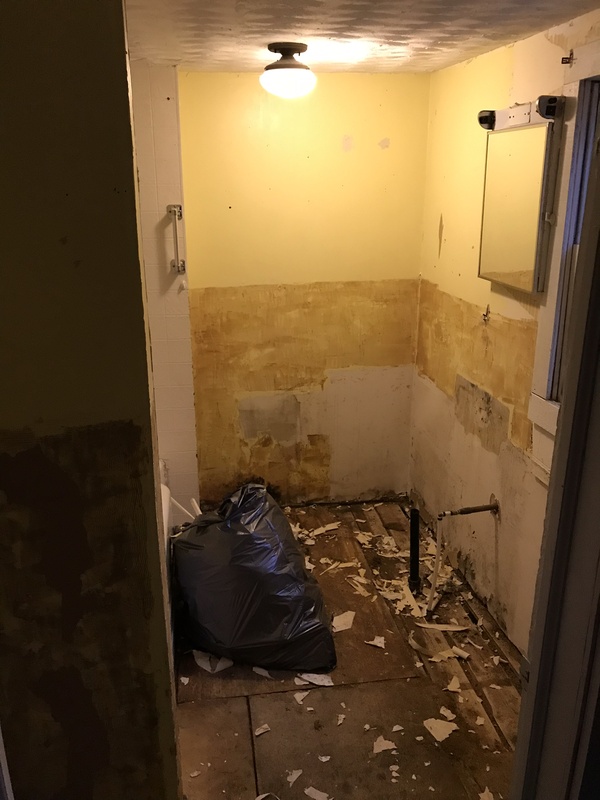 After a single evening, the bathroom was more or less demolished. 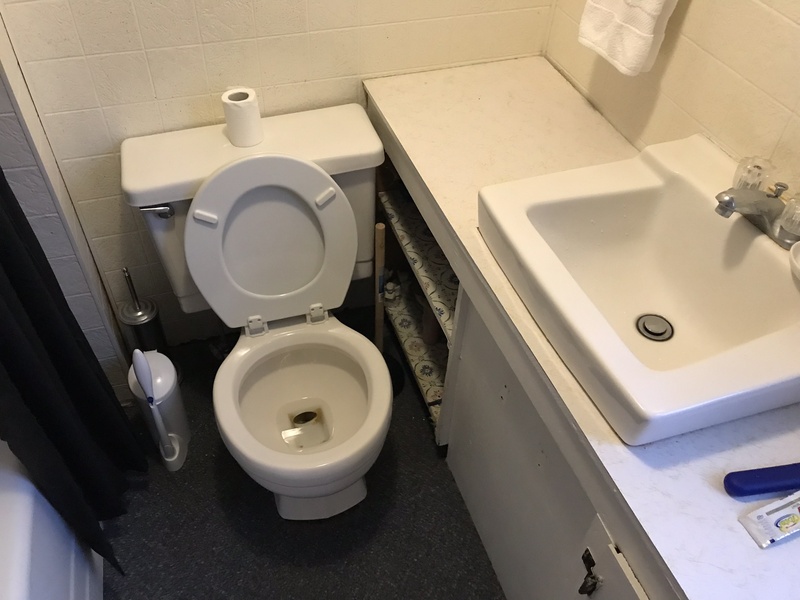 I thanked my contractor, went to my parents’ house (so I could stay somewhere with a bathroom), then went to work the next day and expected to see my contractor that evening. After several calls and back-and-forth chats, he eventually showed by up a week or two later, on May 18th. In the interim I had attempted to use my downstairs bathroom (which is minimally functional), but the toilet overflowed and I was trying to avoid it by staying with my parents for a few weeks. Although it was nice to be back with the folks, I wanted to go back home, so I moved back and learned the subtle manipulations my downstairs toilet required to not overflow. 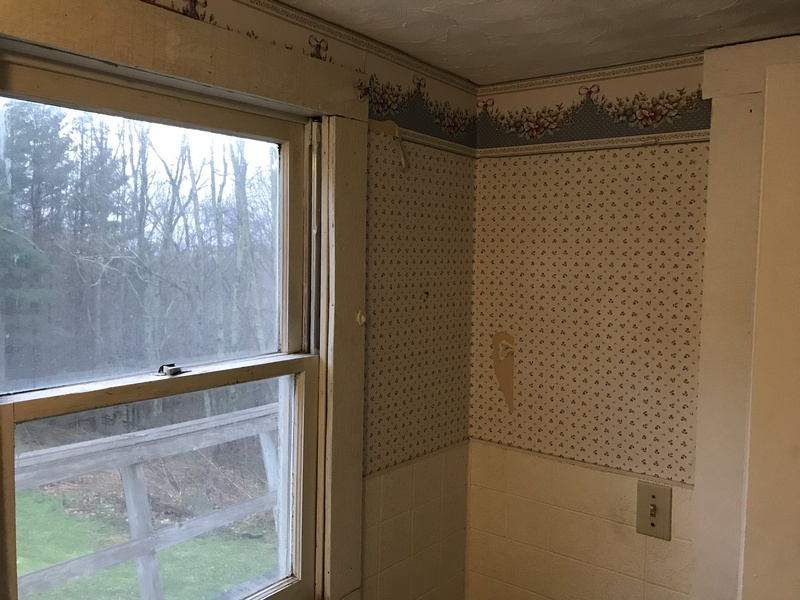 By the time he returned I had taken most of the wallpaper off the wall, so once he showed up everything could be knocked out super fast. Or at least that was the way I had envisioned it. 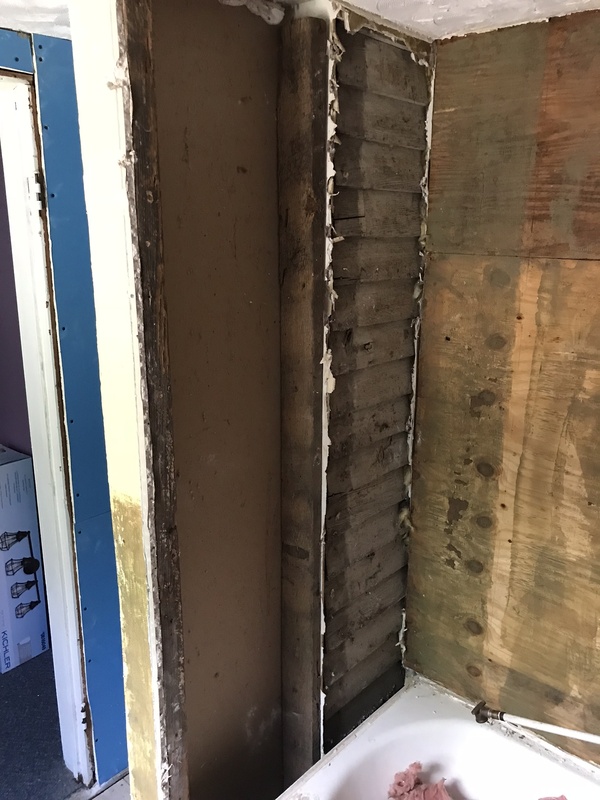 On May 19th he returned and started ripping out the rotten wood. 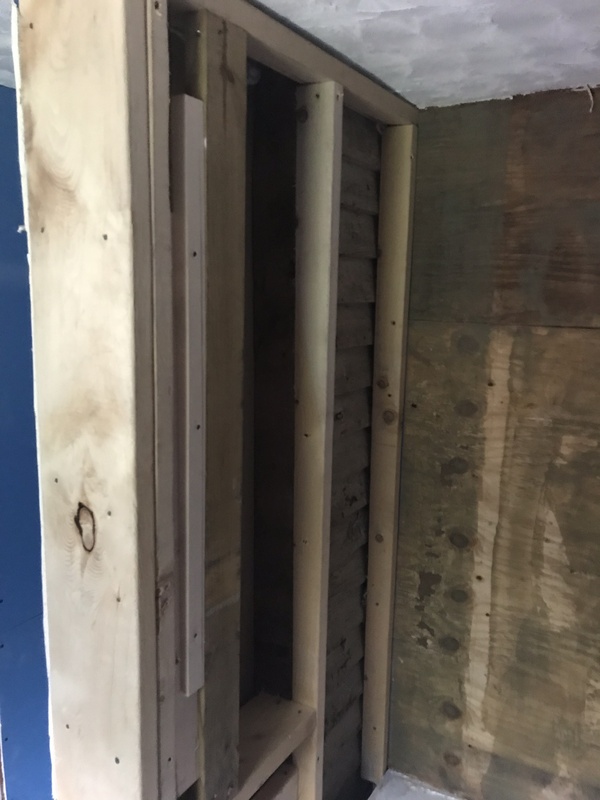 Not only was the plywood bad, but so was some of the subflooring. Luckily, the joists were okay (as I would soon find out, they were pretty much the only things in decent shape). With that, I had an open pit in my house down into what I lovingly refer to as my ‘snake hole’ (crawlspace) in my house, which in addition to letting any slithering beast into my house that wanted to visit (I now have a resident snake that likes to shed its skin and crap everywhere, but I can’t find him), it made the entire house smell like dirt and insulation. Naturally, I assumed my contractor would be there in the next day or two. But he wasn’t. That’s the last I’ve seen of him. 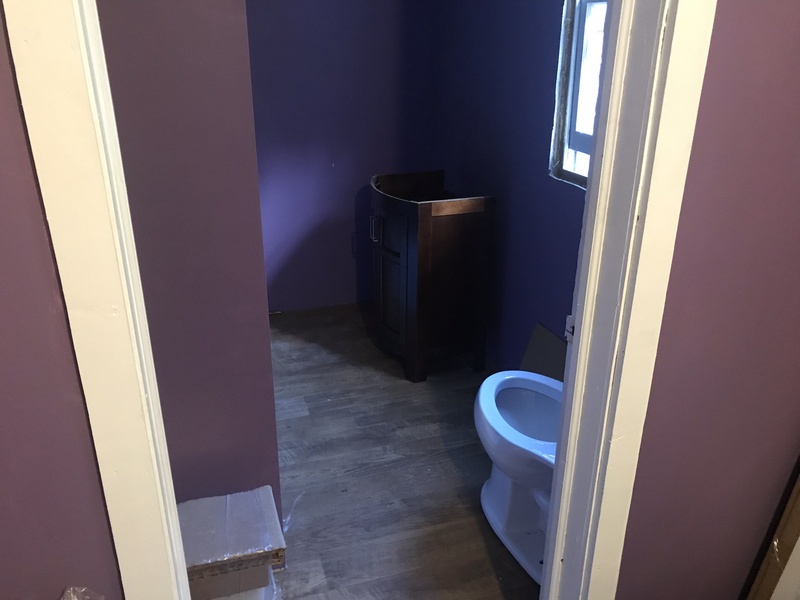 I contacted another contractor (who has been really good, I’ll tell you up front). He inspected my house the day I called him, but told me I’d have to have a plumber look at the plumbing. It turns out, I had PVC going into a really strange cast iron “boot,” which then went out a copper pipe to the septic take. 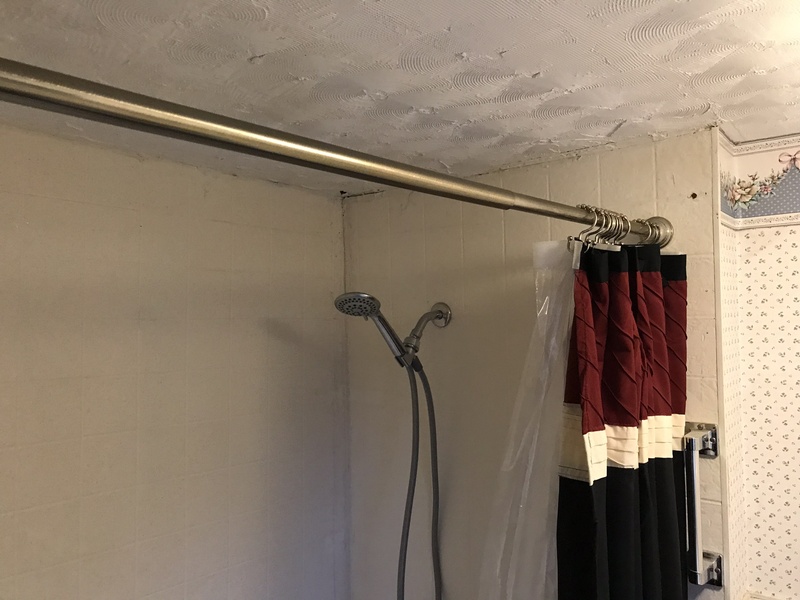 The plumber determined that nothing was salvagable, so I had to have all the plumbing redone. This was a horror show, but at least there was some forward momentum. 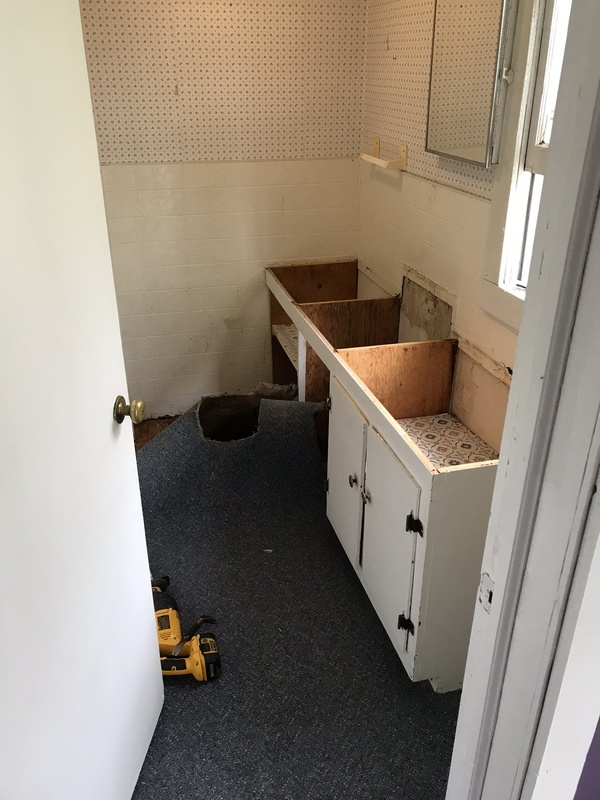 Fast forward to June 9th, with the plumbing done. I let my contractor know, and he scheduled to come out and work on my house ASAP. 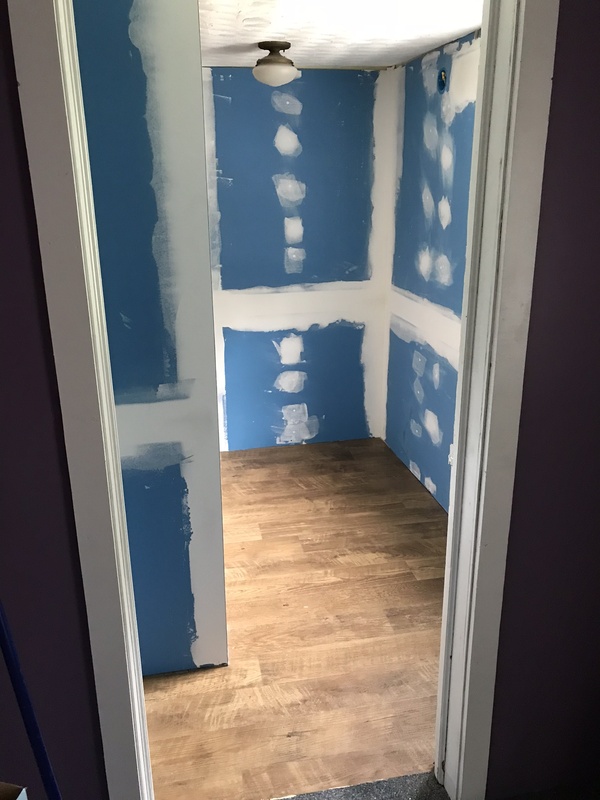 By June 18th, I finally had drywall up and new subflooring down. 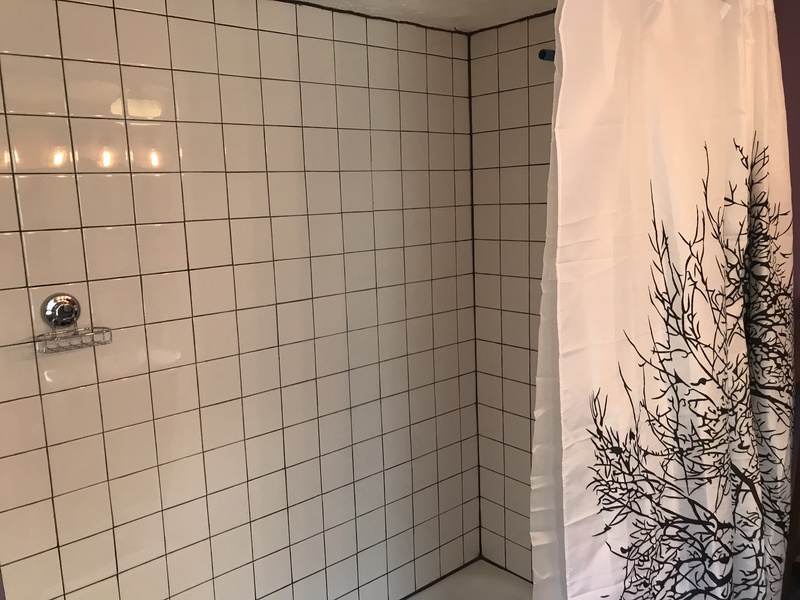 Come to find out, they never properly framed the walls in my shower. 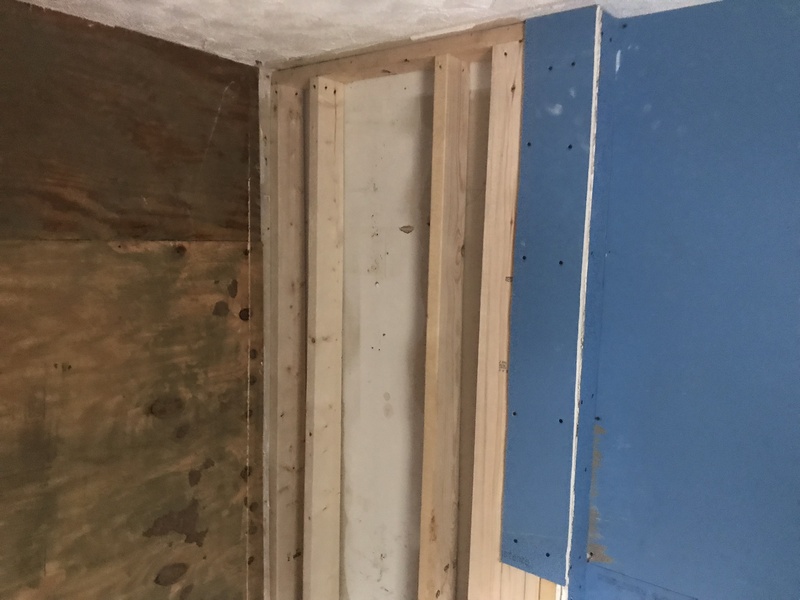 Plus, the original wood siding from when my bathroom was a deck remained, and instead of making things perfectly flush, they just half-did the wall (which is what that dumb shim was for that I mentioned at the beginning). 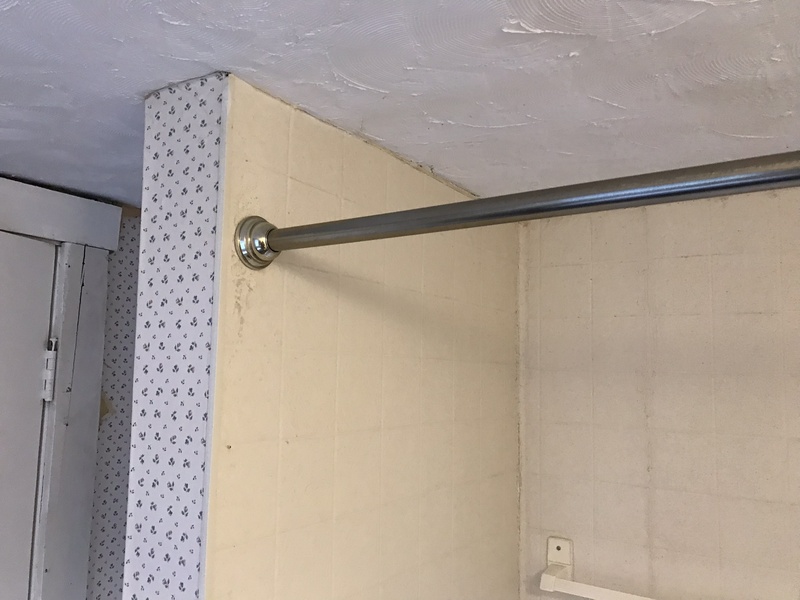 My contractor had to completely reframe it all. On June 26th things were looking up. He began to finish the drywall for me. June 28th brought a vanity light fixture and my flooring. 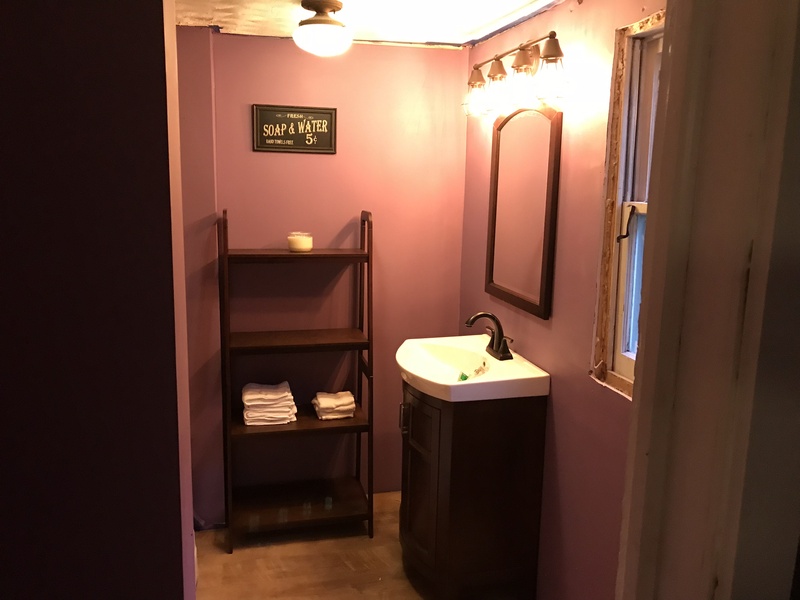 I spent the night of July 2nd painting my bathroom. 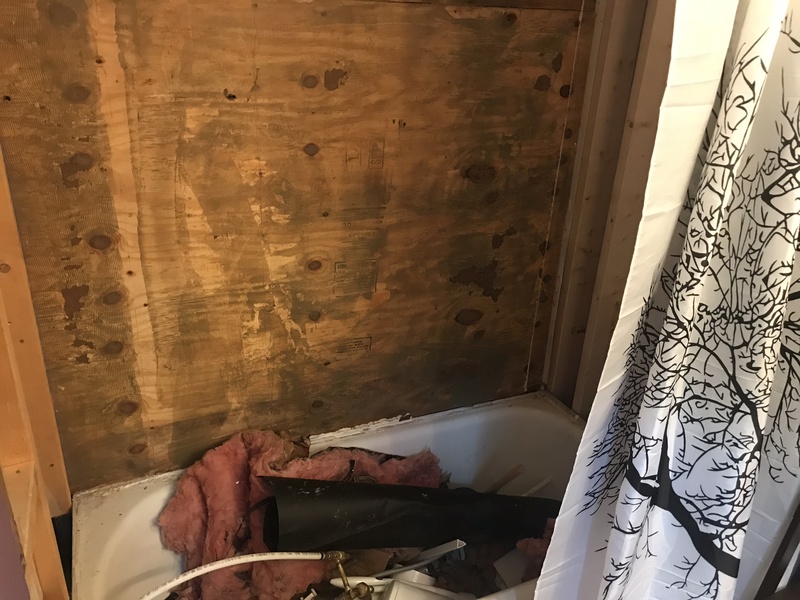 My plumbers returned to connect my toilet, vanity, and shower on July 5th. 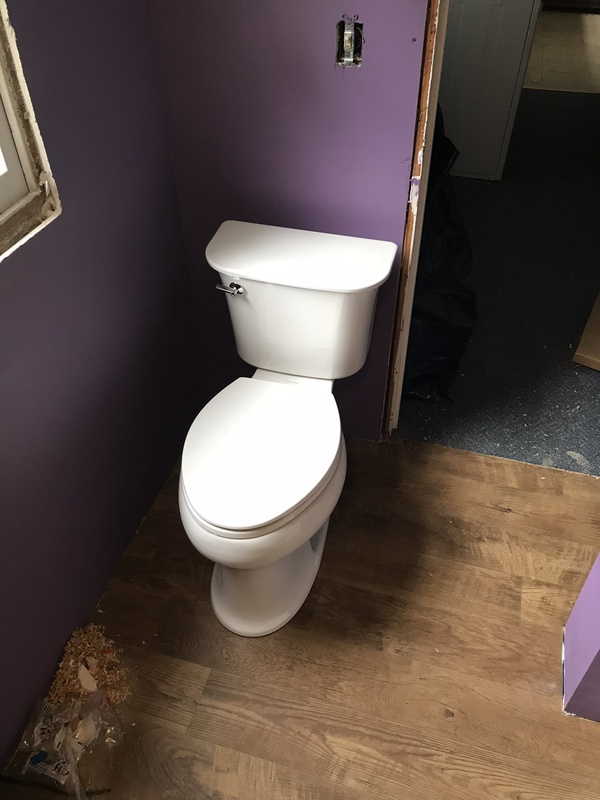 Finally, after over two months, I had a fully-functional toilet. 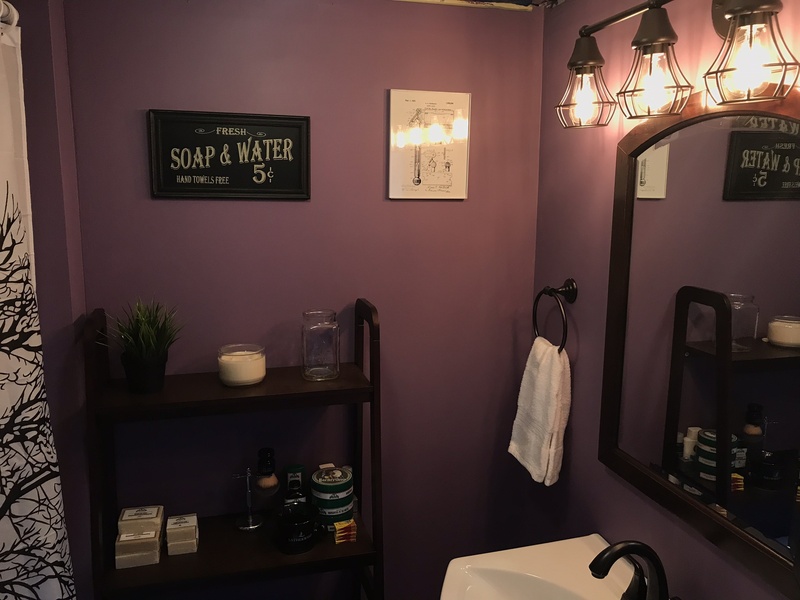 I wired my own vanity lights. All that remained was getting my shower tile installed, which was easier said than done. I had to wait a couple weeks because at that point I was low on funds, but my monthly pay-day arrived and I called an friend from school to help me with the tile work. 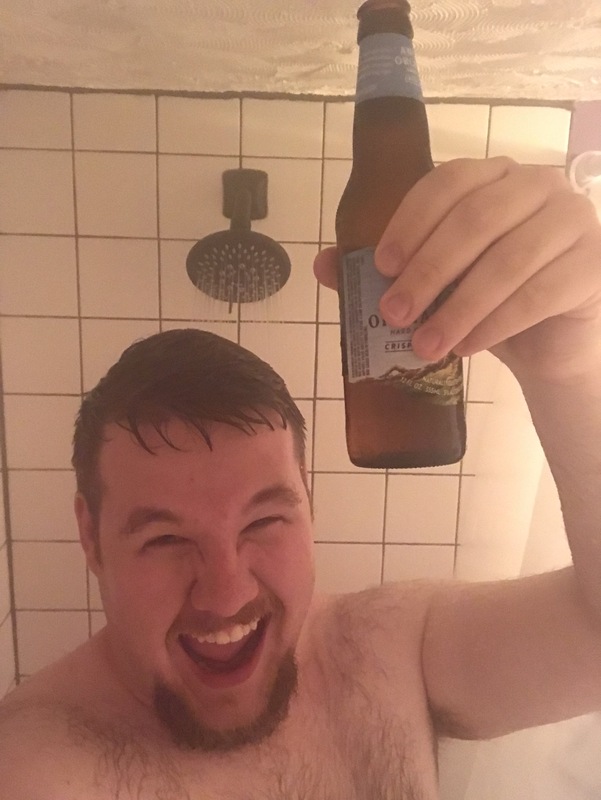 Finally, after nearly five months of bathroom reno hell, I celebrated my first shower.